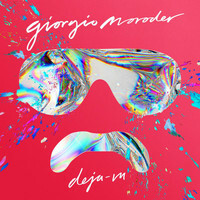 Following his work on Daft Punk’s disco-inspired Random Access Memories LP, Giorgio Moroder has just unveiled his first studio album since his 1985-collaboration with Philip Oakey. We caught up with the Italo-disco pioneer to find out more about the star-studded Déjà vu, and to hear how he’s coping back in the spotlight after three decades away. After such a long time out of the spotlight, it must be a shock to the system promoting a new album, and doing all this press? Ahh, it is so tough. I was so happy playing golf and stuff... (Laughs) No, that’s not true! I love it, I love it. I had a nice life: I started very young, played guitar and bass, then slowly got into producing and composing. Then I had my big break with Donna Summer, "Love To Love You Baby", and I worked pretty much half of my life, so I’m happy. And now I’m back and I’m even happier. (Laughs) It’s tough, but it’s nice. It’s great to be back in the business. Especially after the 30 years it’s taken for this solo album. Yes. I did one song with Donna Summer and I did the music for the Olympics in Beijing, but that’s all. I did 100 different little things, but very little music. If it works, great, if not, it’s no big deal. I’m not an 18-year-old guy who has to have a hit and become successful. So, why did you decide to come back now? Actually, it was not my decision. I started by coincidence, by doing a little DJing and from there I had a foot in the door. Then Daft Punk asked me to collaborate with them and that album did very well. And then my life changed again when I got asked to do an album; of course, I could not say no. You’ve got some huge names working on Déjà vu with you. Yes, I’m so happy: Kylie Minogue, Britney Spears, Sia – who now is dominating the airwaves – Charli XCX, Mikky Ekko, Matthew Koma, Kelis, and last but not least, Marlene. She’s a relatively unknown but great singer from Stockholm. How was Kylie to work with? She is definitely a lovely girl. She worked here with my co-producer, and I worked with her in Los Angeles. In fact, I went on tour with her, opening for her as a DJ in Australia. It was a lot of fun seeing her, not only to see how well she sang and danced but also how she entertained the people. It’s an amazing show – with costumes and everything – but even the way she was talking to the people really got their eyes and ears on her. She was like God; she had the audience in her hands. Kylie is another artist who’s had a long, successful career. Her last couple of albums haven’t been as big for her, though. What do you think she needs to do to get back up there? Well, it’s very simple: she needs a hit song. It’s not easy in today’s business. Radio is overwhelmed with new songs but you have to get on the radio; without the radio it’s almost impossible. But I think there’s always space for her: she has a great voice, plus she’s considered a darling all over the world. Each track on Déjà vu has a very different feel. Is that because you’re tailoring your song to each artist’s style? Well actually, it came about in a way where somebody proposed songs which were not finished, but had already some of the melodies or some of the arrangement. Some were composed based on certain elements, some were co-written; it just depended on who was singing them. Charli XCX had an interesting sound and so I did not change the arrangement too much. It definitely varies; each singer is different. Who did you enjoy working with the most? (Laughs) I love all my singers! I could not pick one who I love the most! Who surprised you the most, then? Well, let’s take Sia: I didn’t meet her when we were producing the song; I sent her the tracks with some melody on them, and she sang them by herself. She gave me the tapes back with the melody, the lyrics, the vocal and the background – all mixed beautifully – and I just had to do the final mix. It’s a new way to work. It’s like the artists love to work in their own environment, so a lot of the time I was not actually in the studio with them. And I think that’s the way most of the DJs, like David Guetta etc, work. What do you think it is about collaborations that appeals to musicians? Well, first of all, a lot of singers sing on other singers’ songs, and I guess it’s a way to expand, because albums and CDs are not selling as much. They are making money in a slightly different way. Now people meet through the internet, through Skype, and emails. Advances in technology and the arrival of social media has made the music industry a very different place. Are you in favor? Yes, I think it’s helping the music business a lot. 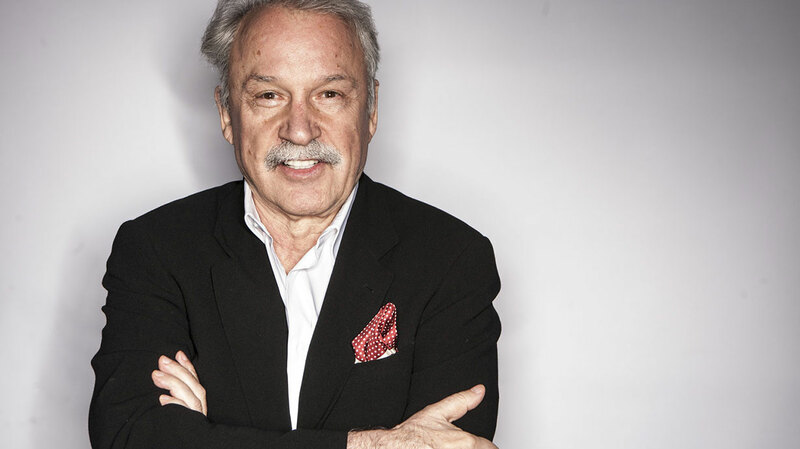 I have my personal assistant – my wife – who is doing a great job taking pictures of me, saying, “Giorgio is now in London, he’s doing an interview.” (Laughs) And it’s great because it goes out on the social networks, and creates a certain promotion. People now know much better than 20 years ago where the musicians are and what they’re doing, because you just go on Twitter and there you know it all. That singer ate a great steak in Paris, someone else was skiing up in the mountains... (Laughs) It’s a great way to promote an album and to be in touch with your audience. Having been in this business for such a long time, do you still feel that same passion for it? I must say, after a 30-year break I’m definitely ready. I still love it. In fact, I love it even more now. I’ve never been nervous: if it works, great, if not, it’s no big deal. I’m not an 18-year-old guy who has to have a hit and become successful. And I’m confident that the album is doing well. Most people call you a legend. What do you make of that? I don’t like it! In my mind, “legend” feels old. Well, you’re still DJing at 75-years-old. Is that what helps keep you young? Absolutely. Especially if I see all these young kids dancing and singing my songs. They’ve learnt the words from listening on YouTube and from social networks, and it’s great: it keeps me young and enthusiastic about this whole new second life. Are you hoping to produce more albums? Have you thought about what collaborations you might like on the next album? Yes, I know singers who I would like. There are many great singers, like Rihanna, Lady Gaga and Taylor Swift. I have a few months, but I’m slowly going to think about the new album and get my wish-list together, and then see who I get. You worked with Lady Gaga and Tony Bennett on their album, right? She must be an interesting person to work with. I did a remix of one of their songs, yes. In fact, she asked me several months ago if I wanted to collaborate on a song for her album, and it didn’t work out as we were both busy. But now I’m going back to LA, I hope we are going to reconnect and maybe write a hit!